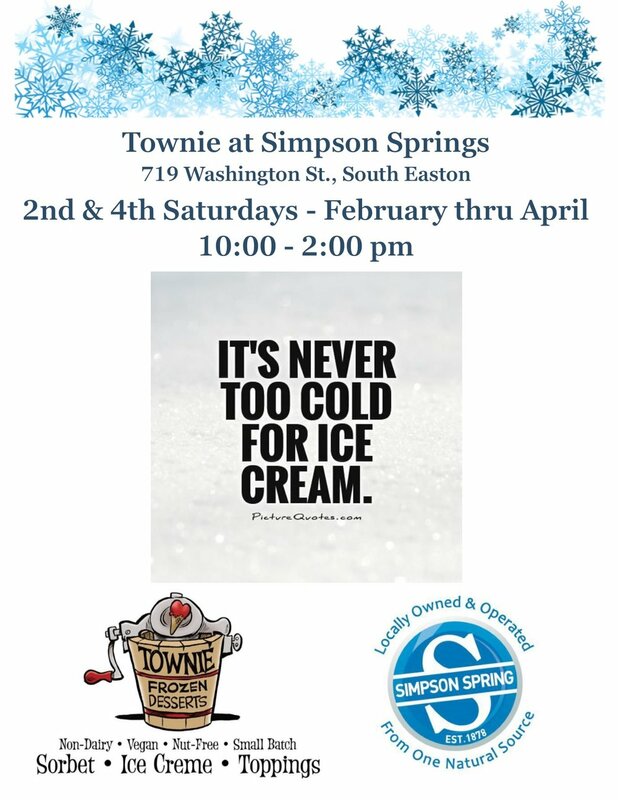 There’s an extra Saturday in March, and we’ll be spending it at the Marketplace at Simpson Springs in South Easton. Come see us and enjoy a little, a big, or a giant serving of our fabulous, delicious, handmade, vegan, non-dairy, nut free sorbets, ice creams, and toppings. Gluten free choices available as well! See you there! Townie is thrilled to be at this great hometown event. Hull Holiday Showcase brings together Hull's best retailers, artists, artisans, and service providers from all over to offer shoppers the opportunity to get wonderful and unique gifts, decor, and more for the holiday season. Townie will be there with our delicious, non-dairy, vegan, nut-free sorbets, ice cremes and toppings. Get some to enjoy as you shop or bring a pint home for dessert. Our jars of Townie Toppings in Good Old Chocolate, Spicy Hot Chocolate, and Smooth Caramel make great stocking stuffers and hostess gifts for the holidays. There's plenty of free parking nearby and no charge to come inside and check out the holiday shopping fun! Hull Holiday Showcase - Shop Small, Stay Local, Gift Creatively! If you haven’t been to the Marketplace at Simpson Springs, you simply must make the trip. It’s an incredible place, and Townie is thrilled to be part of it starting today. The Marketplace at Simpson Spring is open 6 days a week! Their Company Store features many locally sourced products and vendors including beef, poultry, veal, pork and other meats, cheese, pastas, coffee, nut butters, pastries, breads, sweets, PLUS skin care products, pet products, and so much more. 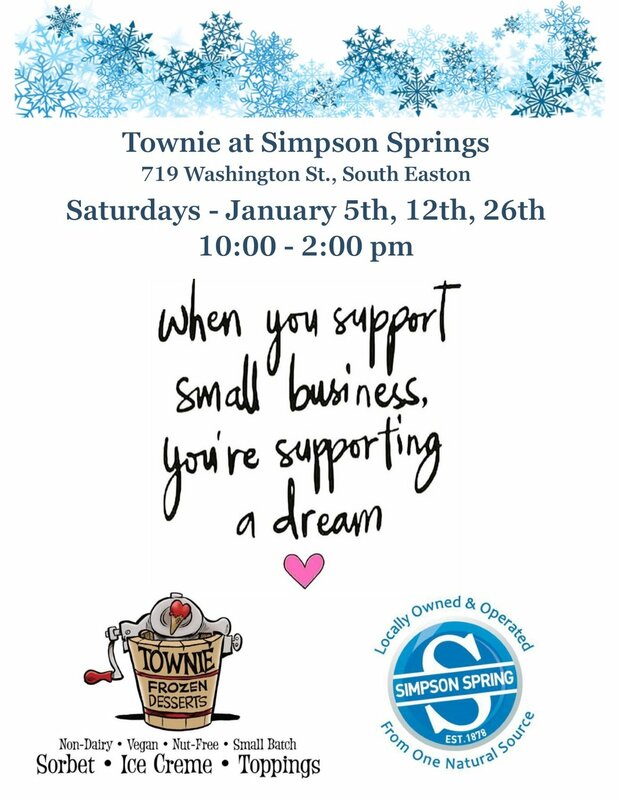 Simpson Springs is open 8am to 4pm on Saturdays, and from 10am-2pm they open the Marketplace up to EVEN MORE VENDORS. 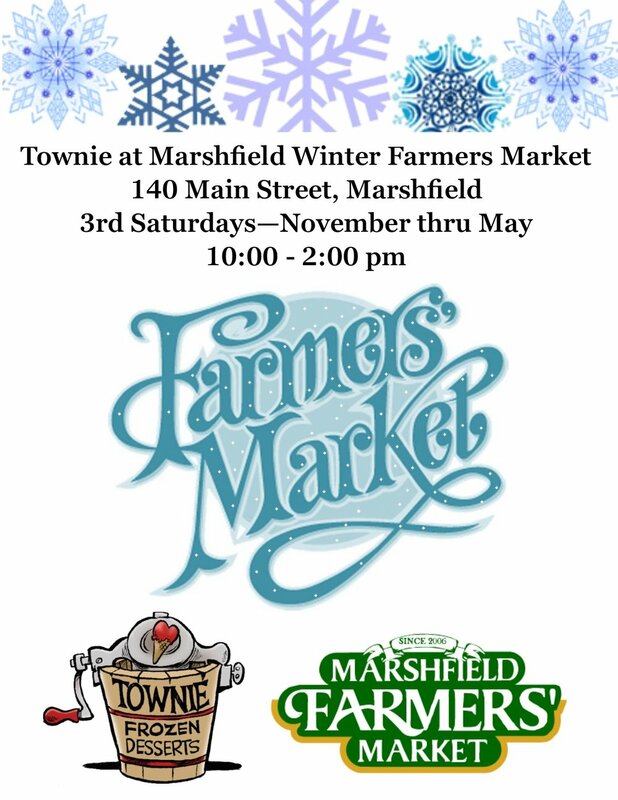 Saturday's Marketplace will feature around 30 additional vendors from in and around our community. Bakers, Artisans, & Entrepreneurs meet with entertainers, authors, musicians to create a unique and welcoming atmosphere that has been creating lots of buzz! Find out for yourself! Townie will have a great assortment of sorbets, ice cremes, and our wonderful Townie Toppings. Everything we make is non-dairy, vegan, and nut-free with many gluten-free choices as well. See you at Simpson Springs! This isn’t Townie’s first rodeo, but it is our first in Plymouth at the Redbrook Food Truck Rodeo. 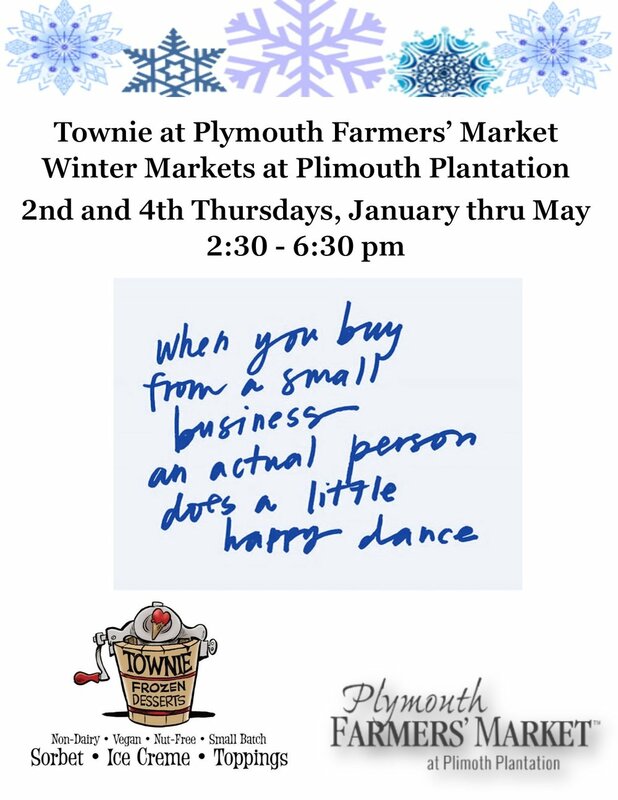 The festival will feature 25+ of the area's top food trucks, Notch Biergarten, warm spirits at the Farmers Table, and over 30 local artisans and designers, including Townie Frozen Desserts. Held on the Village Green in Redbrook, a new destination village in Plymouth Massachusetts. Offering fellow food lovers the regions top food trucks, live music and family fun. With a range from grilled cheese to whoopie pies, there is sure to be something for everyone! Save the date and your appetite for the south shore's biggest food truck event. 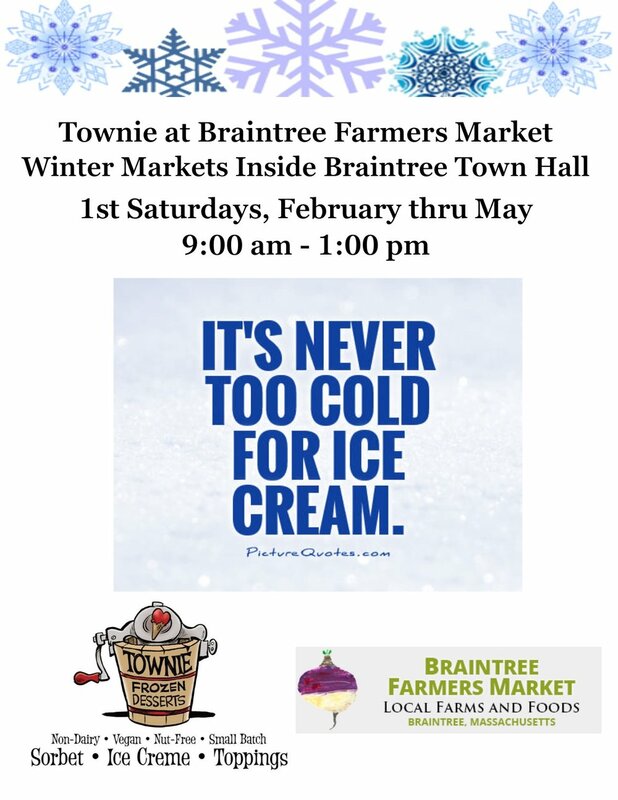 We’ll be there with a great assortment of fresh made, non-dairy, vegan, nut-free sorbets, ice cremes, and toppings. Get a scoop or two for walking around or take a pint home. Hope to see you there!